Dr. Papaiah Gopal is a physiatrist who specializes in physical medicine and rehabilitation. He has a widespread knowledge base with prior experience in general and neurosurgery, cardiology and electrodiagostic testing. My visit with Dr Gopal couldn’t have gone better. Very kind, intelligent and informative. Dr. Gopal saw me later than he expected to (see below) and still have me his time, answered all my questions, explained what he was recommending. Very professional, personable and reassuring. Dr Gopal was through and explained the test he was performing and what the results meant in a way that was easy to understand. Dr. Gopal is a master at his EMG craft. His charm, wit and conversation make a difficult process much easier to go through. Careful and methodically done test, very pleasant and kind. DR Gopal is the best. If your tired of not getting good results. Then this is the guy you need to see. Never have I seen a doctor know and care this much about his patience. Told me what was wrong and what I need to do to help the pain go away. 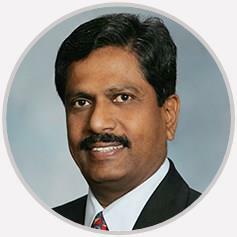 Dr. Papaiah Gopal is a physiatrist who specializes in physical medicine and rehabilitation. He has a widespread knowledge base with prior experience in general and neurosurgery, cardiology and electrodiagostic testing. Dr. Gopal attended Mysore Medical College in India with a specialization in general surgery. He was a member of the house staff in neurosurgery at both Long Island College Hospital in Brooklyn, NY and at North Shore University Hospital in Manhasset, NY. He then acquired further training in physical medicine and rehabilitation from New York Medical College. Dr. Gopal is a skilled diagnostician and is an important resource for patients requiring rehabilitation for a host of conditions and injuries.